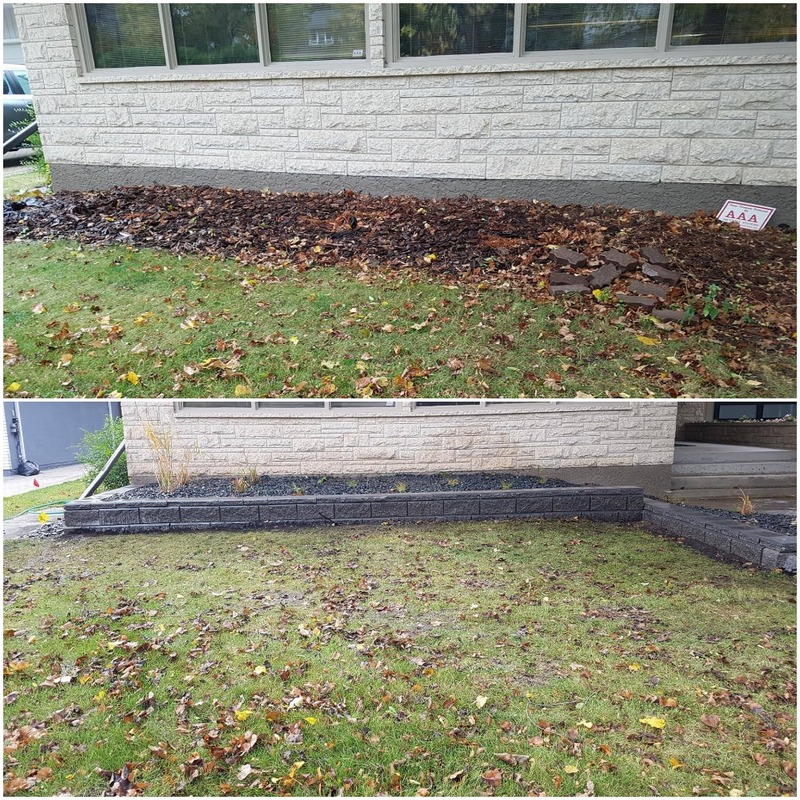 Think you might need a retaining wall Winnipeg?… Does your yard have a large slope and you wish you had more level ground? Would you rather walk down paing stone steps instead of a slippery decline? A retaining wall allows you to have more level and usable land. We can terrace your yard for you with retaining walls giving your space for lower level grass, beds, or a paving stone patio. We build all our retaining walls to industry specs, with proper base, compaction, geogrid, and drainage to combat the forces of nature from pushing the retaining wall out. We are a certified retaining wall builder through Allan Block, which is the world leader in retaining wall blocks. Stone stairs are one of our specialties and can be incorporated into a retaining wall or stand alone. All our stone steps are built with proper slope to allow water to run off and not build up and freeze on the steps over the winter. As well our stone steps are built with proper riser height and tread depth to ensure safety. Call The Paving Stone Pros for a free consultation on a retaining wall and stone steps.